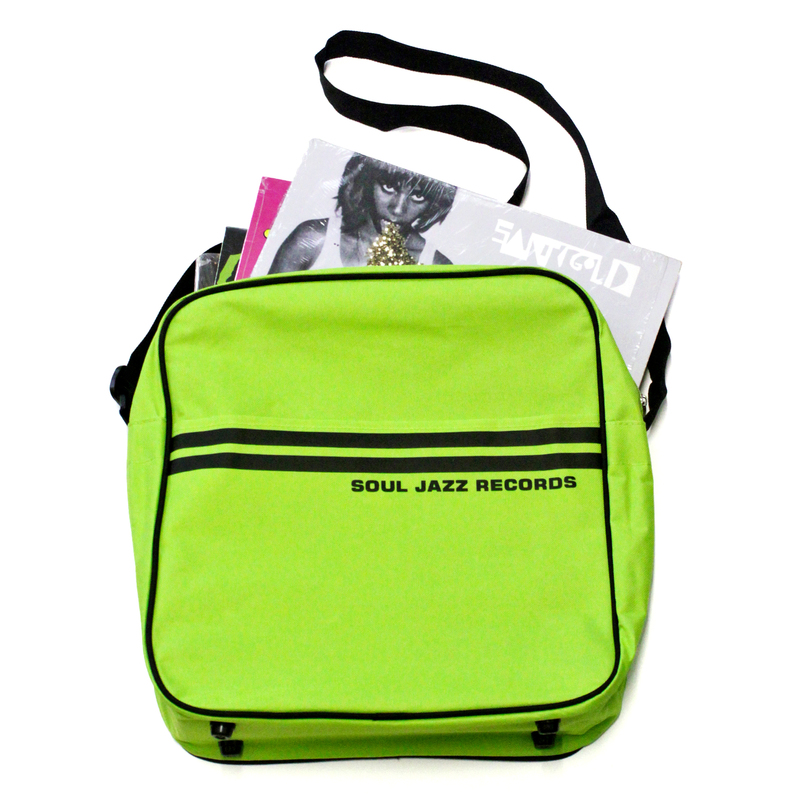 This is our CLASSIC Soul Jazz Records 12" Bag (Sage Green/Black). 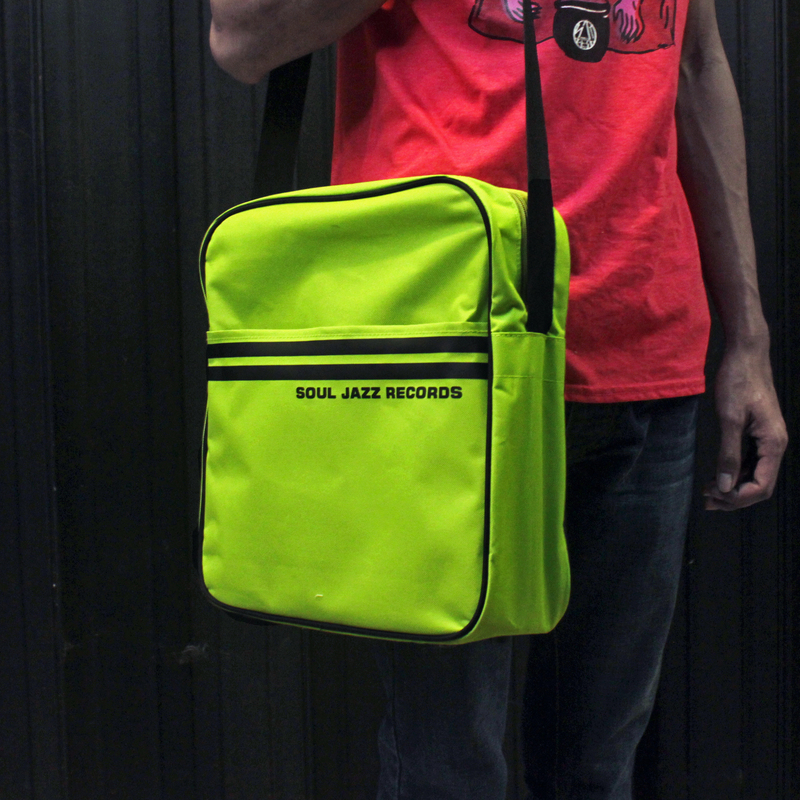 100% Essential! 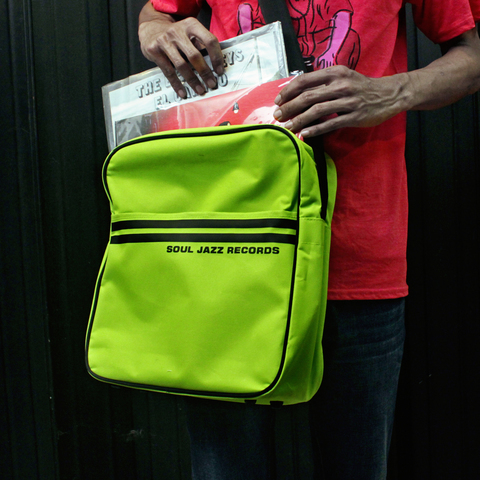 Get down with the get down! Fantastic new season colours in Soul Jazz Records' classic 12" & 7" Record Bags (holds about 30LPs). Fantastic for DJing, impressing your stylish friends or just 'carrying stuff'.